Board index ‹ Theme Park Discussions ‹ Theme Park News & Construction! 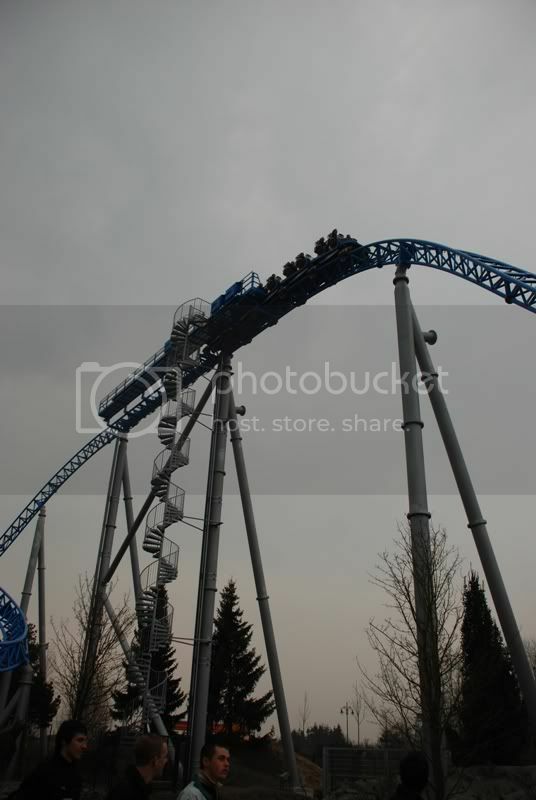 ‹ Europa Park's New Coaster for 2009- Announced! Europa Park's New Coaster for 2009- Announced! Looks great! But it also looks a little slower than i expected. I like the rock tunnels. Looking at it now, they either stil haven't finished all the themeing, it's there to hold signs up on special occasions OR it's something to do with/help with Macks own manufacturing process of transport process. 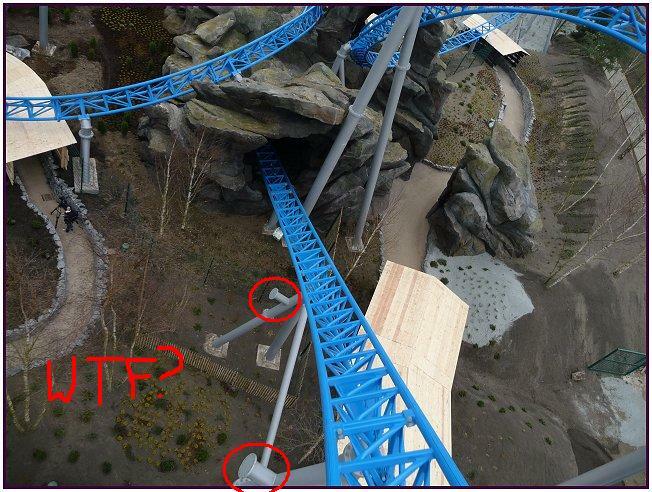 OR they started fabricating these supports before they'd actually finalised the rides design, and there was a helix in the underside of the first element? Their 3-tube track looks way nicer han INTAMIN's, I mean, look at those beaut's! Wider, cleaner, what do you think? Also, that ride looks so f-in sick...WOO, I wish I lived there! Those little weird things are also on the MCBR. Sometimes you gotta sacrifice a little bit of yourself to get the job done. looks epic(!! ), but, one question............Whats with the wierd restraints? Almost looks like cheap plastic (like the stuff they make for cheap chairs)! And absolutely clunky, and looks like they will break out from you during the ride! this coaster is really tha bomb.. And this year i gonna ride it.. I have the money to travel to there, now only plan my visit! and lucky me, in the same time in germany i gonna ride black mamba phantasialand too! ^^ I think the restraints look a lot more comfortable than Intamin's OTSRs. that looks Awesome! I wish i lived near there so i could go on it! too bad for me! LOL love the smoke effect looks kewl! Arthur Themed Dark Ride/Coaster Opens at Europa Park! Gateway Holiday Park Announced for Wales!